As the Alaska Sea Grant Coastal Community Resilience Specialist, Davin Holen is dedicated to providing expertise, research, and extension services that enhance the culture and well-being of coastal communities across Alaska. Davin works collaboratively with the Alaska Center for Climate Assessment and Policy at UAF’s International Arctic Research Center, and as a Sea Grant liaison is supported by and draws on resources from NOAA and the National Sea Grant program. Community resilience activities are highlighted on the Adapt Alaska website hosted by Alaska Sea Grant. Adapt Alaska is a collaborative of communities, tribes, agencies, and nonprofits to enable communities to adapt to rapidly changing ocean and climatic conditions and changing terrestrial landscape from Southeast Alaska to the Arctic. Davin is an anthropologist and lifelong Alaskan from the Susitna Valley. He recently received his PhD from the University of Alaska Fairbanks. His dissertation, titled “Subsistence and Commercial Fisheries Through the Lenses of Culture and Economy in Three Coastal Alaskan Communities,” examines the resilient nature of commercial and subsistence fishing in Alaska for food security, culture, and community well-being. 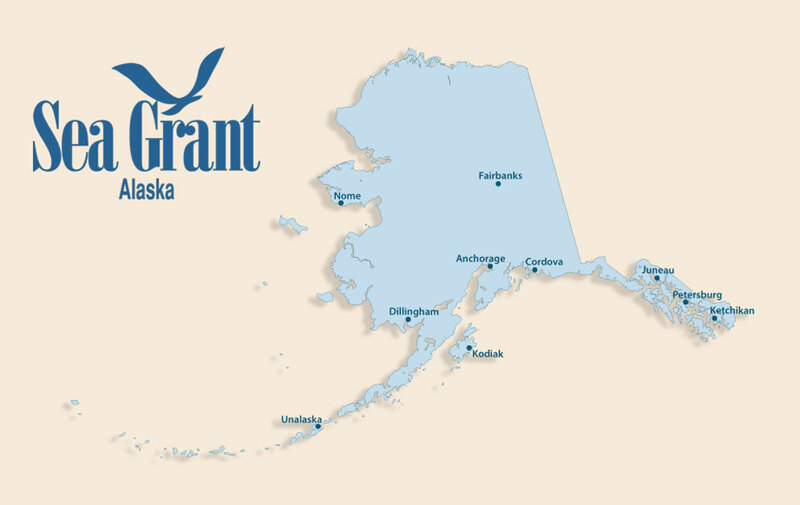 At Alaska Sea Grant, Davin is honored to work directly with communities to facilitate workshops and other activities addressing coastal resilience related to monitoring, mitigation, and adaptation to climate and changes in ocean conditions. Before coming to the Marine Advisory Program in 2016, Davin spent 15 years conducting social science research and managing the subsistence program in southern Alaska for the Alaska Department of Fish and Game. Davin worked with a broad range of stakeholders from the Arctic to Southeast Alaska including sport, commercial, and subsistence harvesters in rural and urban communities. During that time Davin wrote 37 technical publications and designed 16 funded research projects, many of which were interdisciplinary collaborations that involved local stakeholders. Davin has been an adjunct professor of anthropology since 2003, teaching at the University of Alaska Anchorage at the Mat-Su, Eagle River, and main campus. Prior to this Davin spent two years working in natural resource management in Mali, West Africa. 2017. Holen, Davin, Drew Gerkey, Even Høydahl, David Natcher, Martin Reinhardt Nielsen, Birger Poppel, Paul Inge Severeide, Hunter T. Snyder, Mary Stapleton, Ellen Inga Turi, and Iulie Aslaksen. Interdependency of subsistence and market economies in the Arctic. In: The Economy of the North 2015 (ECONOR III). Solveig Glomsrod, Gérard Duhaime, and Iulie Aslaksen, eds. Oslo. Statistics Norway. Holen, Davin. 2014. Fishing for community and culture: The value of fisheries in rural Alaska. Polar Record 50:403–413. http://doi.org/10.1017/S0032247414000205. Holen, Davin. 2011. “We all drink this water”: The contemporary context of salmon fishing in Southwest Alaska. In: D. Michelle, F. Levesque, and J. Ferguson (eds. ), Humanizing security in the Arctic. Canadian Circumpolar Institute, Edmonton, pp. 191–208. Holen, Davin. 2009. A resilient subsistence salmon fishery in Southwest Alaska: A case study of fish camps in Nondalton. Journal of Northern Studies 2:99–113. Holen, Davin. 2009. Subsistence in Alaska. Chapter 7. In: S. Glomsrød and I. Aslaksen (eds), Interdependency of subsistence and market economies in the Arctic. The Economy of the North, 2nd Edition. Statistics Norway, Oslo. Holen, Davin. 2009. Adaptation and resilience of salmon fishing economies in Southwest Alaska. In: Proceedings from the 5th Northern Research Forum: Seeking a Balance in a Changing North. Anchorage, Alaska. Holen, Davin L. 2009. The dynamic context of cultural and social sustainability of communities in Southwest Alaska. Journal of Enterprising Communities 3(3). Stanek, Ronald T., James A. Fall, and Davin L. Holen. 2007. Lake Clark National Park and Preserve West Cook Inlet ethnographic overview and assessment. Lake Clark National Park and Preserve, National Park Service, Anchorage. Holen, Davin L.. 2004. The Atna' and the political ecology of the Copper River fishery, Alaska. Arctic Anthropology 4(1):58–70. The outdoors is my favorite gym and Anchorage has some of the best trails anywhere for skiing and running. I grew up in the woods in the Susitna Valley skiing, hiking, and trail running. I continue to do these activities with my family and recently built a log cabin near Talkeetna so we can enjoy outdoor activities.